When it comes to new innovative technology integrated into a smartphone, Vivo comes into the list of those manufacturers who actually build high-end devices. This time Vivo is all ready to launch its “Future Smartphone” Apex 2019 on January 24th. According to the new teaser on Weibo that a smartphone comes with water ripples and rounded corners. A tagline “to Simple Future,” also surfaces in the teaser. In a teaser, there is also a text says, Vivo Apex 2019 will be using technology “to wake up to the future.” While the tagline and the accompanying text seem to hint towards some sort of a new unlock mechanism or a new in-display fingerprint sensor. Yes, 2019 is the year of 5G enabled smartphones. Qualcomm has already launched the 5G enabled chipset last year. 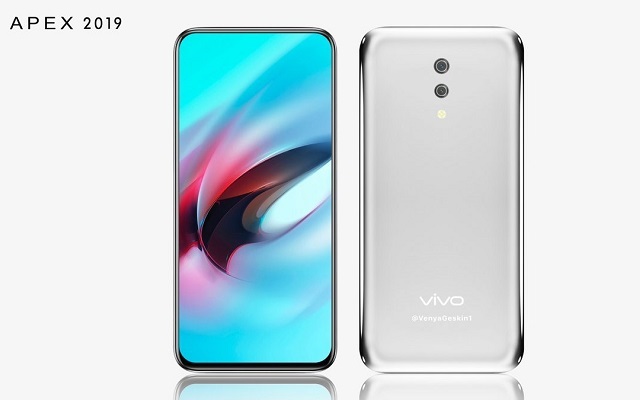 Now, Vivo Apex 2019 will be the first smartphone of the year that will launch with 5G enabled technology. Moreover, the phone will not have any button and make it more smooth and sleek. Also, the Vivo Apex 2019 will be a waterproofed smartphone. Although this technology is not new. But to integrate it into a smartphone that already will have so many high-end specs is really appreciable. For me, one of the delightful features of the smartphone is under display Camera. The phone does not have any hole for the camera on the front side of the smartphone which clearly shows that the phone will have under display camera. Also, the phone will come with the fastest charging. So that users can use it without any worry about battery usage. These are all leaks and rumors. But no worries we will get the original specs of the phone just a day after tomorrow. Let’s wait and watch what the Vivo will offer in Apex 2019. Stay tuned for more update. 10 Best Selling Smartphones in Pakistan in 2018 - You'll be Surprised!